Defence Career group is a professional leading institute in India; it is a known for its best guidance and affordable education Services in India. It has become synonym of success in training and preparing youth for achieving success in various Defence Forces entrance exams. We provide a suitable platform to prepare and groom students seeking career in Defence Forces as Officers and PBOR. 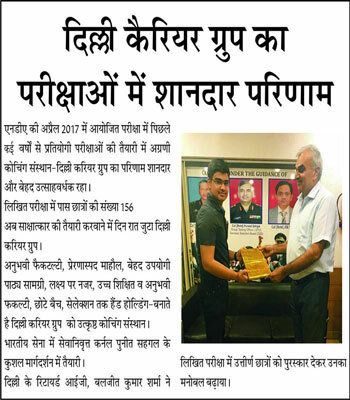 Training with Defence Career group has helped students to crack not only the written exams of NDA, CDSE and AFCAT, but also show results in clearing SSB interview for entire gamut of joining Defence Forces, i.e. Army, Navy and Air force. As such we provide training not only for NDA SIP, NDA Foundation, SSB, CDS, AFCAT, Airforce, Merchant Navy, NAVY, Assistant Commandantpost for Police and Para Military. 3 to 8 hours Daily Regular Classes & Tests. Study Material conforming with latest changes. 18 to 27 Booklet Sets. Classes Seven Days A Week. Special Extra Classes for weak students. We Use well-equipped indoor and outdoor training aids.Personalized training with a system of wholesome feedback to every individual. Why Train at Defence Career Group ? 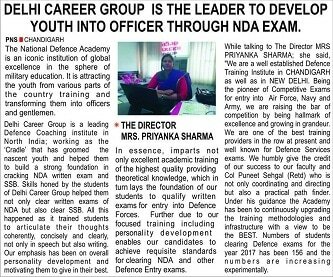 Defence Career Group has been a force multiplier and paradigm shift, in not only preparing youth to achieve success in fulfilling their dream to join Defence Forces, but also increase their awareness in taking up Defence Forces as a career. Training is realistic and progressive. Learn to break through self-limiting beliefs. Reveal knowledge with lesson. High level of motivation. Improved Self Awareness (Helps you to improve performance). Inspired to win and be the best. Replace fear, doubt and frustration with confidence.  Assured improvement in performance. 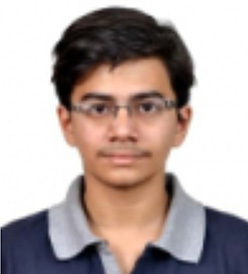 Selection results of both written and SSB speaks itself of the conducive environment available and quality of training. Today, students' need a reliable coaching institute for preparation of NDA Examination both written and SSB along with Schooling. Defence Career Groupoffers EXCELLENT OPPOURTUNITY for such students. As it provides coaching for NDA written and SSB with Schooling. DCA is providing this facility with assistance of expert faculty with specialization in the required fields. Adequate well-researched Notes covering entire syllabus are given to the students. Test series made by our own faculty with previous year's question papers are also given. 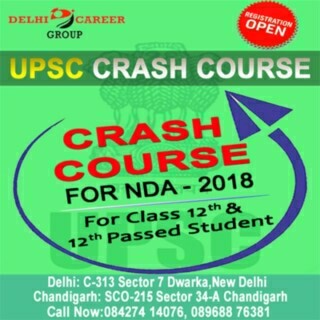 Defence Career Group known for its best results for Cracking NDA written exams in Chandigarh. It has helped to fulfil the dreams of youth to join NDA. It has provided a suitable platform to prepare and groom students seeking career in Defence Forces as Officers through NDA. 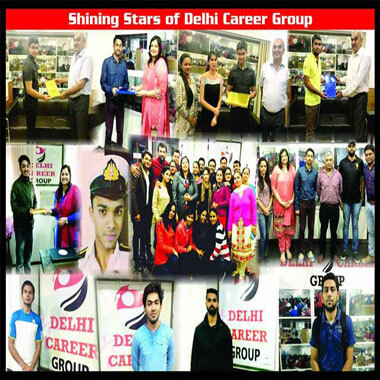 We are providing coaching for past 10 years and got best result from our NDA coaching classes. Our well-managed, highly educated and experienced faculty for various subjects. They bring with them diverse wealth of knowledge. Study material provided by us generally carry 90% of the paper that would come in the examination. Defence Career Group is one of the institutes, which makes effort to deliver value to society by grooming students to be successful in clearing CDS, AFCAT and other Defence exams. We provide holistic coaching for CDS and AFCAT including Personality Development and Guidance for SSB. Our institute is organised to conduct training in a professional manner. Highly competent and committed team of faculty handles it. Our faculty consists of well-qualified mentors from their respective sphere. We issue our own booklets, which have been prepared after extensive analysis and are constantly refined. Each year, numbers of aspirants are searching for an institute, which can help them to crack the CPF (Central Police Forces or Assistant Commandant) examination. At Defence Career Group we provide coaching for CPF examination also. 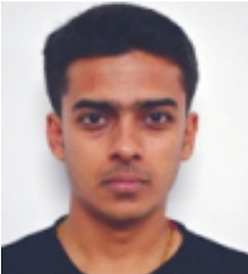 UPSC conducts written examination for assistant commandant in Central Armed Police Forces (CAPF) viz. Border Security Force (BSF), Central Reserve Police Force (CRPF), Central Industrial Security Force (CISF), we at Defence Career Group are successfully providing coaching for all these exams. 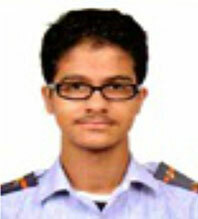 Defence Career Group is the leading institute for the preparation of Air Force Group X & Group Y Exam. Our instructors are highly qualified and experienced in providing coaching for Air Force Group X and Y examination. We deliver best results in this defence entry platform. We are providing 100 % result oriented training. Well-researched study material provided and regular mock tests. 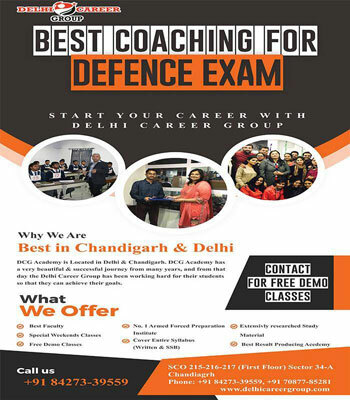 Defence Career Group provide best coaching as it provides best coaching for NDA Exam.. I got my NDA Exam clear by the right guidence of Delhi Career Thanks..